Martin Yale 61201 Electric Collator - Roberts Business Machines, Inc. 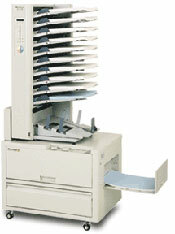 The Martin Yale 61201 Electric Collator is a steadfast, dependable unit with bins that hold up to 174 sheets each. 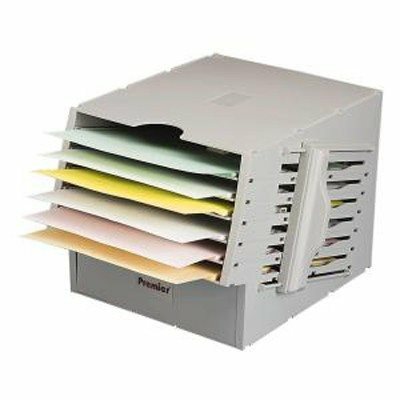 Key features include automatic cycling or foot pedal trigger (standard), accommodation of paper weights from 13 Lb. to 110 Lb. and all steel construction. Secondary features are extremely quiet operation and a speed of up to 240 sheets per minute. Accommodates paper weights from 13 lb. to 110 lb.